First up was a band called Infantree that we’d heard of but didn’t really know, but we ended up really liking. Kind of moody indie rock and really great musicianship. 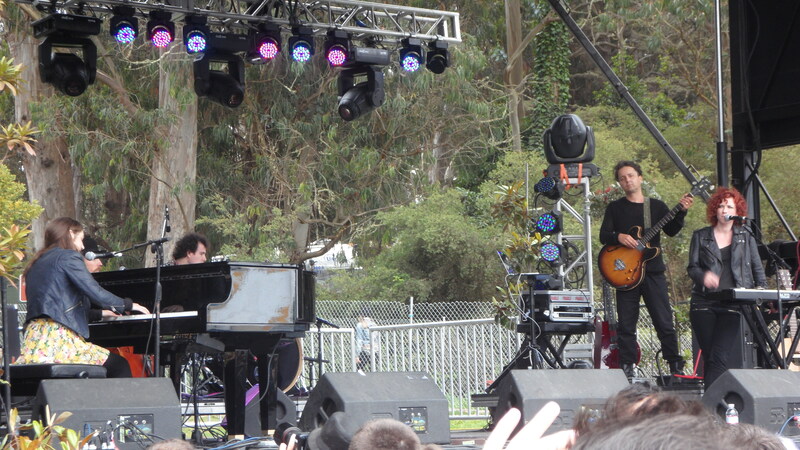 Soon after we stuck around at the Panhandle stage and saw Birdy. She’s known for doing some pretty interesting piano covers, including Phoenix’s “1901” and The Naked and Famous’ “Young Blood”. Not exactly my cup of tea, but she and her band were quite enjoyable. 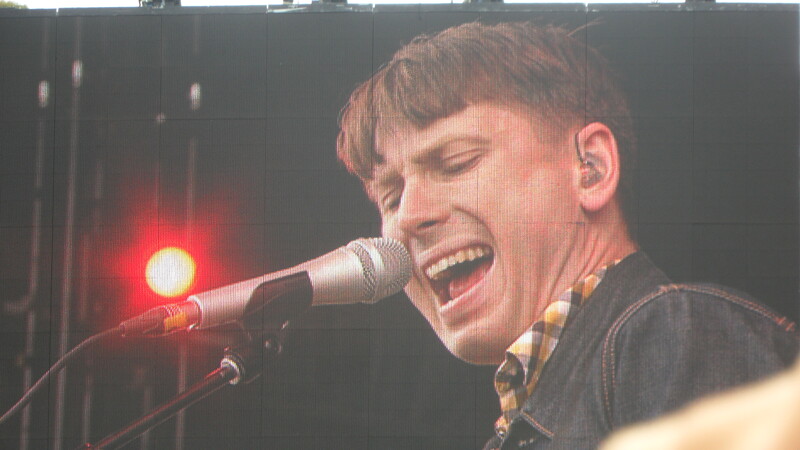 Then to the big afternoon deal–Franz Ferdinand! This was A.’s big name she was waiting to see, and they did not let us down. They kicked off with “Matinee” and hit all their biggest hits like “Do You Want To” and of course “Take Me Out”, and also performed a lot of new songs that may be on their next album. They all joined on the drummer’s set for the final track. Excellent show. Rocking out on the Polo Fields stage. Yes, that’s Gavrilo Princip as the background picture. 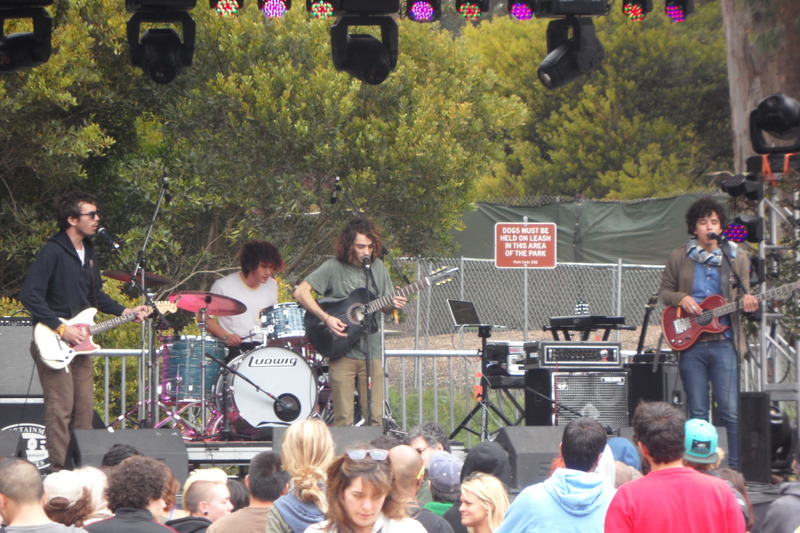 Lastly we headed back to the Panhandle stage to catch Electric Guest. 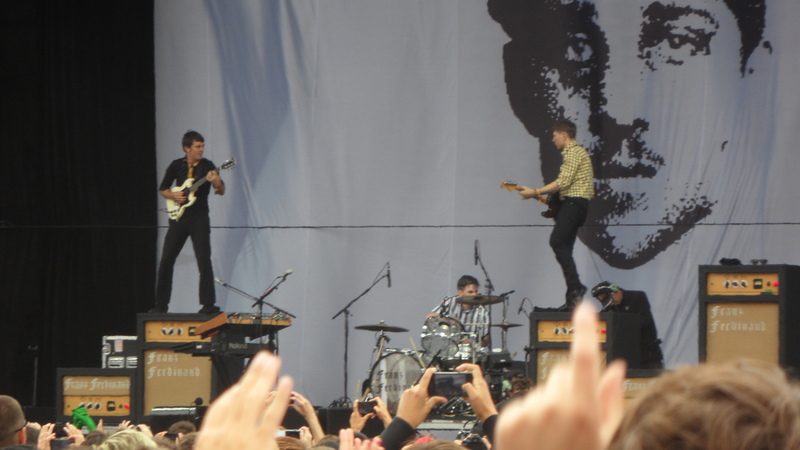 Sadly I didn’t get any good pictures of them as we sat near the back and the crowd filled up surprisingly quickly, but they put on a fun show. …and that’s pretty much it for us. We called it a day after that. We are definitely thinking of going next year, however! 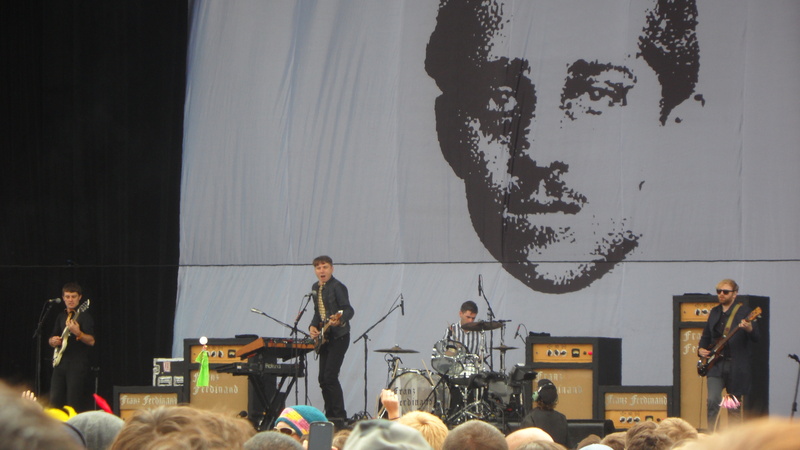 This entry was posted in Uncategorized and tagged music, outside lands by Jon Chaisson. Bookmark the permalink.